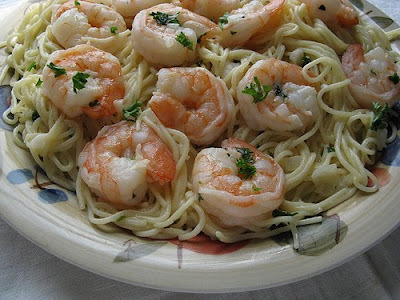 Discription:The term scampi is often used in the US for the name of the word shrimp in many restaurants.Sprinkling Parmesan cheese on top is a must! 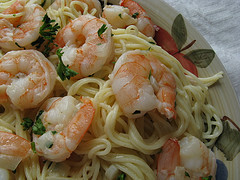 If you love the taste of shrimp you need to give this recipe for shrimp scampi a try – it’s fast, simple, and will easily impress almost anyone.The combination of white win, butter, and garlic and lemon juice goes nearly perfect with shrimp. 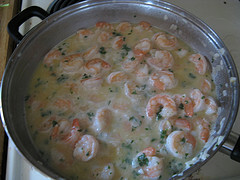 The combination of flavors just creates an outstanding dish. 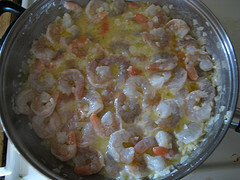 What’s also amazing is the amount of time it takes to make this recipe. If you wanted to you could almost literally have this on the table within 15-20 minutes. 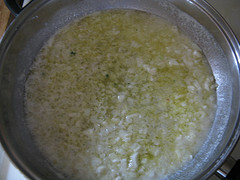 Step 3: Add wine, lemon juice, parsley, salt and pepper. 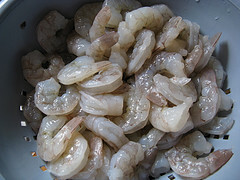 Cook for another minute or two and pour shrimp mixture over pasta and serve.